Call me crazy, but I hope I may have had a vision of the future. The other day I sat and watched Les Miserables (the movie, I saw the original stage musical back in the day in 1986 at The Palace Theatre just after it had transferred from the Barbican). I´d forgotten how moving the show was, and how touching. 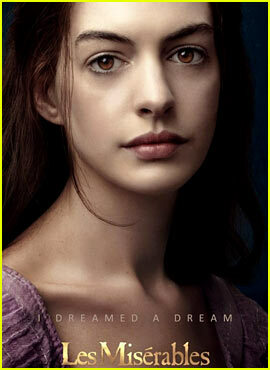 Anne Hathaway had me in floods of tears: I literally bawled my eyes out. And ever since seeing the movie I´ve had snippets of the musical score flashing through my memory at opportune moments. One of those moments was whilst I was reading about the Duke of Palma (who is the husband of Princess Christina, the daughter of the King and Queen of Spain). The Duke, a member of the Spanish Royal family has been charged with fraud. Another moment popped up when Luis Barcenas, the treasurer for the Partido Popular admitted to having 22€ million in a Swiss bank account expressly for giving as back handers to keep people sweet, including allegedly, Prime Minister Rajoy who last weekend denied that he had done anything illegal. Just those examples are really the tip of the iceberg. There are 300 cases of political corruption and fraud being investigated in Spain at the moment. Three hundred. Phew. The phrase that keeps running through my head is “Do you hear the people sing, singing the song of angry men?” This is sung repeatedly through the musical, it´s used as a refrain and a rallying cry by the French Revolutionaries as they struggle to take control of their country and push King Louis XVI off of the throne. It´s a pretty catchy tune (although some people may say I´ve got voices in my head I guess) and it has been nagging away at me for a while now. My question is why aren´t the Spanish people angrier about the situation that their politicians have put them in? I´ve asked a lot of my Mallorcan friends and they just shrug as if that is what you should expect from a politician and there´s nothing that you can do to change that. I strongly disagree. I am not allowed to vote in the National elections, although I would love to be able to do that. No, no, they like me to pay my taxes but they don´t really want me to have a say in how the country that I live in is run. Silly me. But if I had voted these people into power I would be looking for some answers. I know the situation seems to be turning and more corrupt politicians are being brought to task, but it can´t come quickly enough my opinion. Spain cannot hold up its head when it is being embarrassed by its Royal family and its senior politicians. Do we really want to be seen as a laughing stock by the rest of Europe? What does that say about a nation who may very well need a serious financial bailout? The financial markets slumped as a direct response to Prime Minister Rajoy´s protestations of innocence. So, hurry up with the revolution please. If the French can take time out from their extended lunch break to take control of their country back in the day when stealing a loaf of bread meant a ten year stretch in prison, then why can´t we get it together in Spain to take control of the country and lead it in an honest and innovative way towards financial recovery?